President Obama signs the Filipino Veterans of World War II Congressional Gold Medal Act. On Thursday, President Obama signed the "Filipino Veterans of World War II Congressional Gold Medal Act," awarding a Congressional Gold Medal, our nation's highest civilian honor, to the thousands of Filipino veterans who fought for the United States during World War II. S. 1555, sponsored by Senator Mazie Hirono and Representative Tulsi Gabbard, honors more than 260,000 Filipino and Filipino American soldiers who fought under U.S. command during the second world war. The bill unanimously passed in both chambers of Congress earlier this year. "The Filipino veterans of World War II overcame many challenges in their fight for compensation, family reunification, and verification of wartime service," Senator Hirono said in a statement, calling the medal a long overdue but fitting tribute. "By signing our bill into law, President Obama recognized these veterans' courage and perseverance, both during the war and in the decades of battles for benefits that followed." "Though less than 18,000 of our Filipino WWII veterans are still alive today," said Rep. Gabbard, "this recognition is a testament to each and every one of our Filipino WWII veterans who earned and deserve their place amongst our greatest generation. To our Filipino veterans, their families, and all who worked so hard to make today a reality, maraming salamat sa inyong lahat." 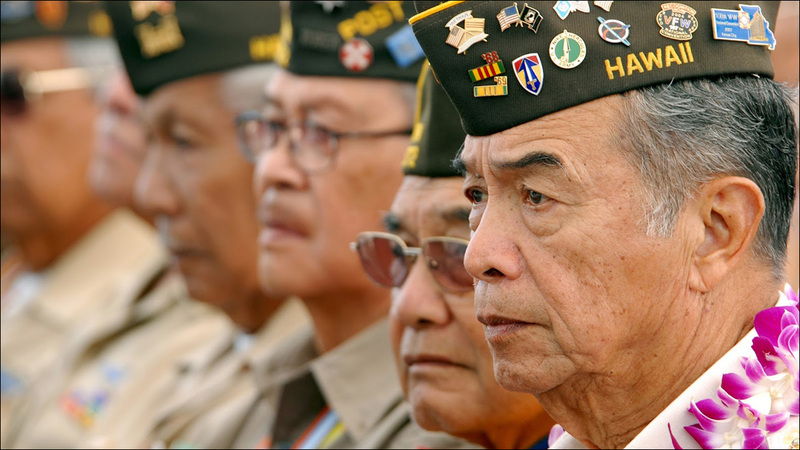 In February 2009, President Obama signed legislation authorizing the release of a one-time, lump-sum payment to eligible World War II Philippine Veterans. These payments are made through the U.S. Department of Veterans Affairs. As of September 2016, more than 42,000 applications had been processed and over $225 million had been awarded. In June 2016, U.S. Citizenship and Immigration Services launched the Filipino World War II Veterans Parole Program, which allows certain family members of veterans who are beneficiaries of approved family-based immigrant visa petitions an opportunity to seek a discretionary grant of parole on a case-by-case basis, so that they may come to the United States as they wait for their immigrant visas to become available. This recognition has been a long time coming, and for many, too late. 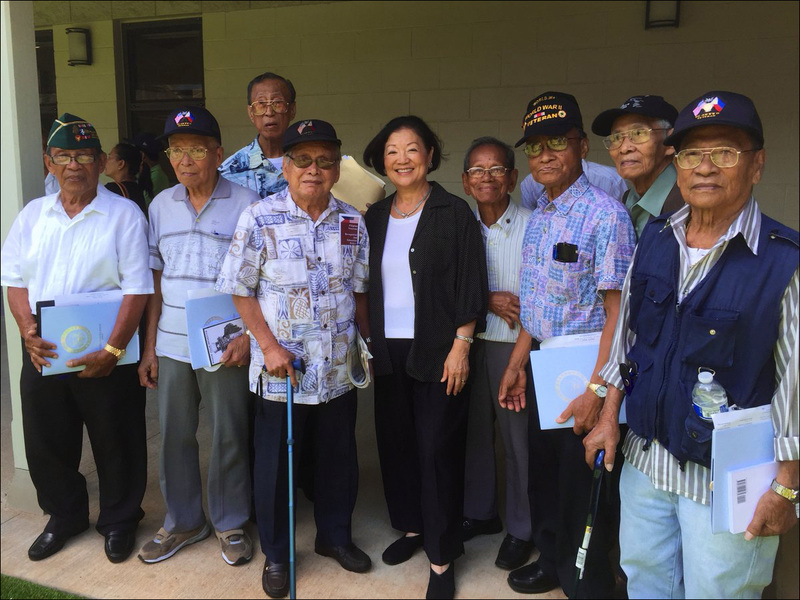 "Unfortunately, for decades, these Filipino WWII veterans were denied the benefits and recognition they had both earned and deserve," said Congresswoman Judy Chu, Chair of the Congressional Asian Pacific American Caucus. "This is a tremendous and long overdue victory for our Filipino veterans, their families, and our leaders within the Asian American and Pacific Islander community who helped to make this a reality."